We are pleased to sponsor the annual CBA Competition Law Fall Conference in Ottawa September 27th and 28th. The conference is the leading Canadian event for competition law professionals and brings together all segments of the Canadian and global competition law community, including enforcement officials, in-house counsel, plaintiffs’ lawyers, defense lawyers, academics, and economists in order to share knowledge, experience, and advice regarding all areas of competition law. Participants are exposed to thoughtful and practical insights from distinguished panels of competition law experts, and they leave the conference with a sound understanding of the leading issues in the area of competition law. With several new projects beginning this fall we are looking to add several contract eDiscovery Review Counsel to our team in Calgary. Heuristica Discovery Counsel is a boutique law firm that is focused exclusively on the provision of intelligent and innovative electronic discovery, evidence management and related litigation and legal services. 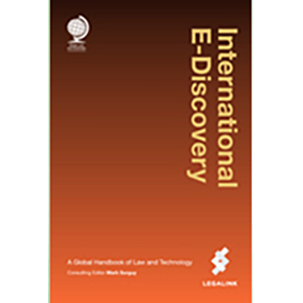 We take pride in the value we create for our clients by providing experienced eDiscovery counsel and conducting innovative discovery reviews. Please visit our Careers page for more information about the position and how to apply. We are thrilled to have been nominated for the 2018 Canadian Lawyer Readers’ Choice Awards in these two categories: Litigation Support & E-Discovery Consultants Legal Process Outsourcing This is the fourth year Canadian Lawyer has run their Readers’ Choice Awards. The program is designed to give a voice to their readers to identify which vendors and suppliers are the best at what they do. Voting is open until June 25th and winners will be announced in a special feature in the October issue of Canadian Lawyer. Please vote here.